After launching Amazon Kindle Paperwhite last year, the US-based e-commerce giant has now refreshed its entry-level Kindle lineup with the introduction of an all-new Kindle, which is now in its tenth-generation. The major highlight of the device is that it now comes with a built-in light. With the addition of a built-in adjustable front light, the new 2019 entry-level Kindle is the company’s cheapest e-book reader to support the night-friendly feature. However, compared to the 5 LEDs on the Kindle Paperwhite, this new Kindle features just 4 LEDs. Coming to the specifications, the new Kindle comes with a 6-inch touch screen display that offers 800 x 600 pixels screen resolution at 167 PPI pixel density. It packs 4 GB of internal storage that can hold thousands of books. For connectivity, the device supports Wi-Fi 802.11 b/g/n. In terms of battery life, the new Kindle is claimed to offer around 4 weeks of battery life by the company, which is same as the entry-level Kindle that was launched in 2016. Also, the company says that the new Kindle has an updated electronic ink technology for better contrast and now uses capacitive touch to prevent accidental swipes. 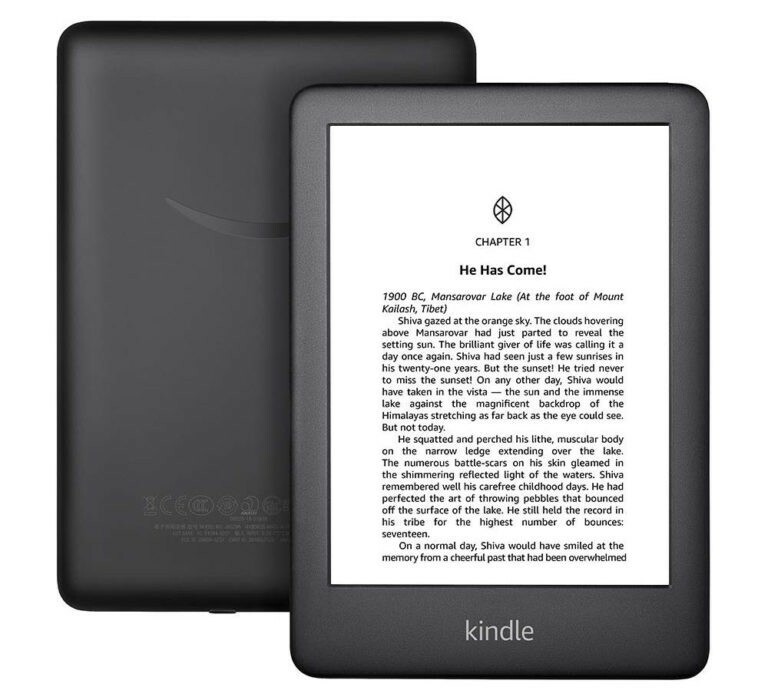 The device is slightly thinner and compact compared the previous-generation entry-level Kindle. It weighs 174 grams, so it’s easy to hold in one hand even for long reading sessions. The all-new Amazon Kindle comes in two color options — Black and White. In the US, the new Kindle is priced at $89.99 with “special offers” and $109.99 without special offers. In India, it is priced at ₹7,999 (approximately $117) and is now available for pre-order at Amazon. Shipping will commence from 10th April.